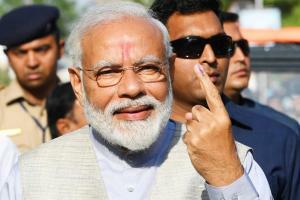 Nakul, who is making his poll debut, owns assets worth Rs 660 crore, almost five times more than his nine-time MP father, who has reported assets worth Rs 124 crore. The 72-year-old Kamal Nath and his son, Nakul, became the first father-son duo to have filed their election nominations together in Chhindwara. Bhopal: Madhya Pradesh Chief Minister Kamal Nath and his son Nakul own a fortune of around Rs 784 crore, according to the duo’s election affidavits filed by them at Chhindwara on Tuesday. The movable and immovable assets reported by both of them are owned by them jointly with their spouses. While the senior Nath owns only two four-wheelers, his son and daughter-in-law have claimed that they do not own any vehicle. The 72-year-old Nath and his son became the first father-son duo to have filed the election nominations together in Chhindwara. The chief minister and his wife Alka, as per the affidavit, own movable and immovable assets worth Rs 124.67 crore. According to the income tax return (ITR) filed by Nath for 2017-18,the chief minister earned over Rs 1.38 crore, while his wife reported an income of over Rs 96 lakh per annum during the same period. Nath’s income has shown a steady growth as per his ITR of 2013-14 when he earned Rs 32.48 lakh annually, while his wife showed an income of Rs 23.74 lakh during the same period. The immovable assets include properties held through family-controlled companies and trusts, the affidavits said. The chief minister, who owns a total of 67.20 acre of land in Chhindwara, has a Delhi-registered Ambassador Classic car and a Safari Storm SUV registered in Madhya Pradesh, the affidavit said. He possesses 300 grams of gold jewellery worth over Rs 8.77 lakh, while his wife possesses over 915 grams gold as well as 1,989.13 carat diamond and stone jewellery valued at Rs 2.20 crore, the affidavit said. The CM offered details of a number of bank accounts with varying amounts of deposits, while his wife owns shares in several firms. Nath also mentioned his five social media accounts, including his website, Facebook, YouTube, Pinterest and Google+. Meanwhile, his businessman-turned-politician son Nakul owns movable properties worth over Rs 615.93 crore, while his wife Priya has assets valued at more than Rs 2.30 crore, the affidavit said. The value of Nakul’s immovable assets is over Rs 41.77 crore, while his wife does not own any immovable asset. The affidavit also claimed that 44-year-old Nakul owns these properties individually and also jointly through family-owned companies and trusts. According to the ITR filed the couple for 2017-18, Priya earns almost double the amount of her husband. While Nakul earned Rs 2.76 crore during the last financial year, his wife generated an income of Rs 4.18 crore in the same period. Nakul has shown liabilities of over Rs 88 lakh, though his wife has none. The father-son duo mentioned in their affidavits they have no criminal cases pending against them anywhere. 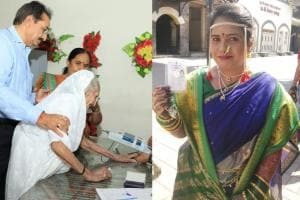 The Nath junior, who is entering the poll fray for the first time from the Chhindwara Lok Sabha seat, owns 896.7 grams of gold bars, 7.630kg silver, 147.58 carat diamond and stone jewellery worth over Rs 78.45 lakh, while his wife possesses over 270.322 grams of gold, 161.84 carat diamond and stone jewellery valued at over Rs 57.62 lakh, the affidavit read. The senior Nath will take on BJP’s Vivek Sahu alias Bunty in the Chhindwara assembly bypoll and his son has the saffron party’s Nathan Shah as the key opponent.